I doubt there is a more enjoyable manner anywhere in the world by which to start off dinner than out on the patio at l’Auberge de l’Ill’s magical riverside location. The meandering, lazily ebbing waters of the Ill river are enough to lull you to sleep, but the fairy tale, extremely picturesque setting is such that you’ll stay wide awake as you peruse the rather large menus you’ll be handed by your waiter as you take your seat outside. The official founding of what is, by all accounts, one of the world’s greatest restaurants dates back only to 1950, when Paul and Jean-Pierre Haeberlin created their new dining destination in the small Alsatian town of Illhaeusern. In fact, the Haeberlin’s were plying their trade long before that, when the family (current owner’s Marc Haeberlin's great-grandparents) established a country inn called l'Arbre Vert in 1882. Unfortunately, a World War II bombing raid in 1945 annihilated that construction and so Marc Haeberlin's father (Paul, the chef) and uncle (Jean-Pierre, the maître) launched a new restaurant on the same site right after the war, renaming it Auberge de l'Ill. Under Paul Haeberlin, Auberge de l’Ill climbed the highest levels of culinary excellence, being awarded its first Michelin star in 1952, a second one in 1957, and the third star in 1967. 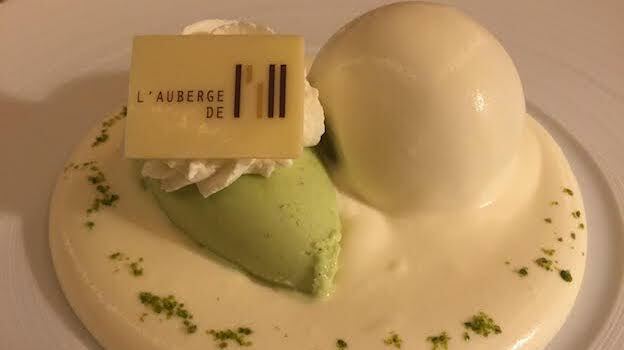 Apparently, Auberge de l’Ill is the longest running three Michelin star establishment in France after Bocuse’s legendary l’Auberge du Pont de Collonges. The nearby Hotel des Berges, also in the family, allows patrons to stay for the night and to not worry about driving after a big, long meal. While I’m not a huge fan of the restaurant’s interior design (by Patrick Jouin), which I find a little cold and too modern in some flourishes, the food at l’Auberge de l’Ill is about as French and as traditional as it gets. 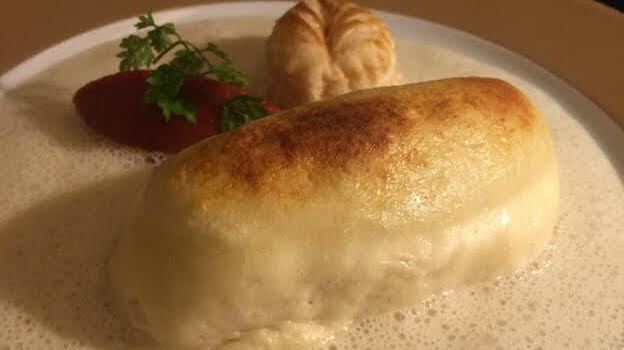 Mousses, heavy cream, soufflés, butter, salmon, frogs and still more cream are everywhere: don’t get me wrong, I’m hardly complaining, especially when the dishes are carried out with such culinary skill (portions are actually quite large, so that a few dishes can be shared easily). 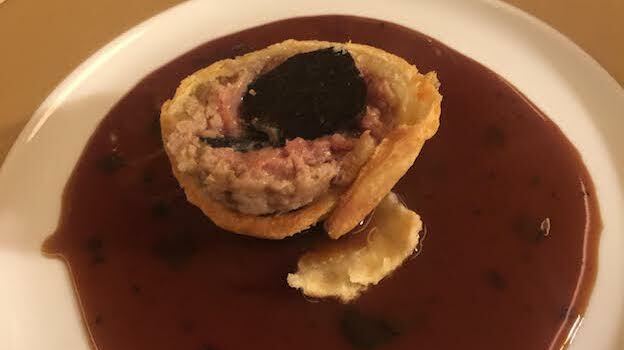 In truth, the food has been undoubtedly lightened up a bit over the years, but the Auberge’s historic, classic dishes (what you should really come for and that any serious foodie should try at least once in their lives) are still not exactly diet fare. Still, the amazing mousseline of frog’s legs, for example, with chives and white wine, is an amazingly delicate dish that goes down like water, but with such sneaky concentration and complexity that it lingers long on your taste buds. 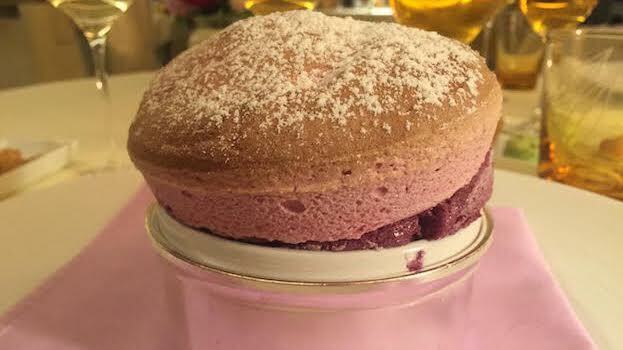 The gibelotte, a type of stew made from rabbit (it can also be made with fish), in white wine and broth, is another delicate, nuanced preparation, as is the famous salmon soufflé: the former is not quite a soufflé, but it’s bright, airy composition is something I never tire of. The truffle under the ash serves up a truly massive truffle smeared with butter wrapped in parchment paper and baked under hot coals and ashes (even two people may have trouble finishing one of these on their own). It’s a remarkable taste sensation of underbrush and woodsy herbs and spices, and one that I heartily recommend. Famous sybarite and restaurant goer Mimi Sheraton once listed this preparation as one of her ten favorite dishes of all time (actually, she mentioned the one tried at the Rôtisserie Perigourdine, a dining establishment that no longer exists: so we’ll just have to settle – happily - for Haeberlin’s delicious version instead). Finally, desserts are decadent and filling, just like you’d expect from any temple of haute cuisine. On this night, the wines were memorable too. The 2013 Dussourt Sylvaner Blienschwiller Reserve Prestige was an absolute revelation. From a producer I don’t know much about, the 2013 was a gorgeous, steely beauty that actually had much in common with a very fine dry Riesling from the Saar, such was its steely and pungently floral demeanor. The 1997 Zind Humbrecht Pinot Gris Rangen de Thann Clos Saint Urbain is a wine I never tire of, and though this specific bottle was a little more evolved than some others I have had, the wine is rarely a disappointment: rich, deep and concentrated, it offered orange marmalade, saffron and hints of mushrooms/truffle in spades. On this evening however, perhaps something drier, less rich and less powerful might have been a better choice. Last but not least, the 1971 Léon Beyer Gewürztraminer Séléction de Grains Nobles was an absolute work of art: magically balanced, luscious and concentrated, it boasted a refined mouth-feel and exceptional balance. Long, very pure, lively and not that sweet, it was quite simply one of the two greatest wines I have ever had from Beyer, and one of the greatest late harvest wines I have had in some time. Over the years, not every meal I have had at l’Auberge de l’Ill has been as memorable as this one, but the restaurant is on top of its game more often than not. 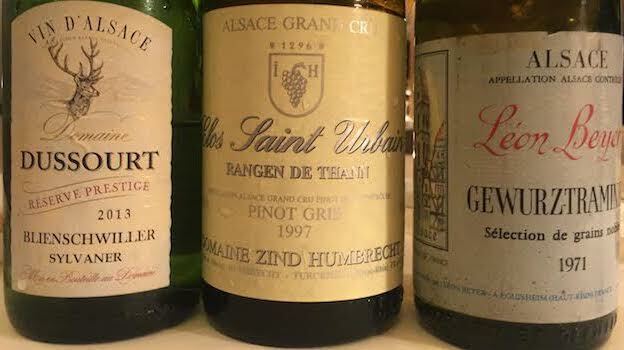 Wine service will have to be reevaluated, as the longtime sommelier, the talented Pascale Leonetti, has left the restaurant for another career and the triumvirate (not a good sign right there) that looked after these bottles didn’t exactly shine. I imagine it’s probably just a matter of time and everyone getting their bearings; but one very stuffy and obviously rather confused fellow I’d never even seen once before on the whole night came over and started talking to me in German at one point, which is inexcusable for such a high class establishment. 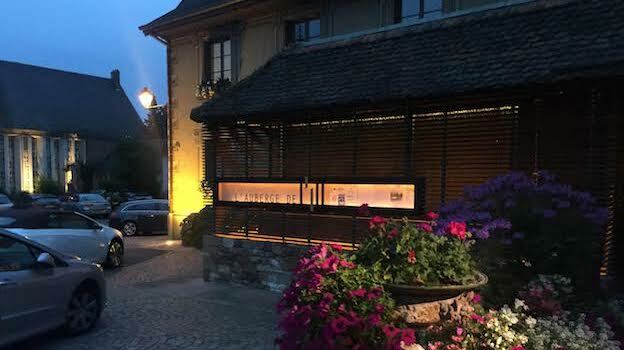 In any case, my most recent evening at l’Auberge de l’Ill was wonderful, with some lasting memories of great wine and food. Marc Haeberlin is an obviously very talented man, and deciding to train in his younger days with the likes of Paul Bocuse, Jean and Pierre Troisgros, René Lasserre, and Gaston Lenôtre (in turn, he had future star chefs such as Hubert Keller train under him) was obviously the right move to make. And we are all luckier for it.